On a scraggly hill in Pennsylvania, a unit of sharpshooters took part in some of the most fierce, if not frequently discussed, fighting of Gettysburg. Many only know them from the accessories riding atop their heads: bucktails. Last week we hosted our first Library conversation for War Stories members. Dr. John Marszalek, David Nolen, and Louie Gallo, the editors of a new, annotated version of Ulysses S. Grant’s memoirs, the first of its kind, joined us in talking about Grant as a general and as a person. To join us in our next conversation, sign up via our Patreon. You’ve been studying Grant for years. His memoirs are, if not the first, then close to the first, thing you think of when you think of him. Why publish this new, annotated version now? 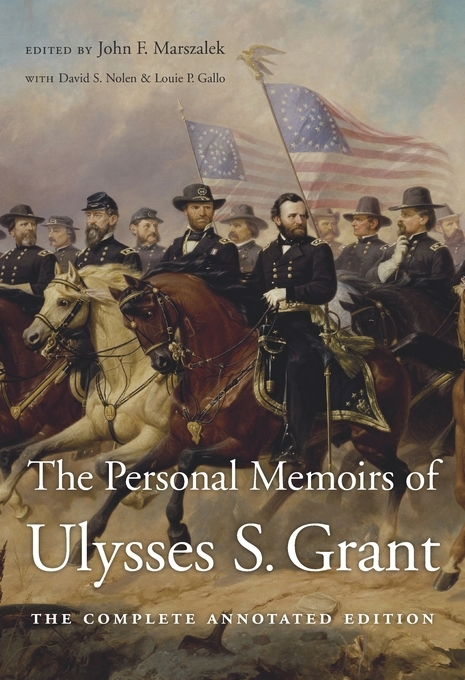 With the completion of the 32 volumes of the Papers of Ulysses S. Grant, the time was right and necessary to produce an annotated edition that contextualizes the memoirs for the modern reader. We believe that the support from Mississippi State University and the university libraries made this long-term project possible. The USG Association, led by our president Frank J. Williams and the Board of Directors, gave us the support we needed to finish the project. We also received financial support from the NEH and the NHPRC. Another point, in the 130 years that the memoirs have been in print, they have never been comprehensively annotated on this scale, and with the resurgence of Grant scholarship we thought the time was right. To that point, how should the modern reader view the memoirs in context? In this case, by reading this modern edition of the memoirs the reader gets a good insight into USG’s thought process during the war, and they get a good perspective on the era in which he lived. For example, the section on the Mexican War is a great character study of Grant and an insight into what the war was about and how it was waged. The annotations allow the modern reader to understand persons, places, and terms that he/she would probably not recognize without the aid of the annotations. The memoirs and the annotations reveal to current service members just how complicated and chaotic military life was, especially during the Civil War. The modern warrior will find themes and principles that resonate with their own experiences. Also, the book humanizes the experience of the Civil War and an individual who has been mythologized over the years. Did revisiting Grant’s memoirs give you any different insights into the man than you’d had at the outset? We found that an oft forgotten aspect of Grant’s character and ability was his skill as a storyteller. He was known in his era to be an impressive and engaging storyteller given the right circumstances. That unique voice comes through even more strongly than we imagined in the memoirs. Gertrude Stein and other great writers of the 19th and 20th century all agreed on the power of Grant’s prose. Also, we were surprised by Grant’s sense of humor. He is always seen as a serious, stone-faced general, but his character goes much deeper. He was witty and clever. In annotating his memoirs—which I can only imagine was a huge task—what were the primary resources that you used? First, the Papers of USG were invaluable. The research done by John Y. Simon and his editors over the years made verifying Grant’s statements and contextualizing his writing in the memoirs much easier than it could have been. The fact that Dr. Simon’s widow, Harriet, was so willing to help in the editorial process with her sharp eye made our efforts more productive. The Official Records of the War of the Rebellion were essential in our work. 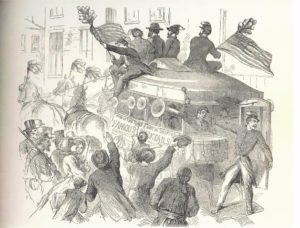 The widespread publication on all aspects of the Civil War gave us secondary material that was helpful in our editorial process. Also, the Official Atlas of the Civil War really helped us to follow along with Grant’s narrative. But, one of the strengths of this edition is that we pull from a wide range of resources. I’m interested in going back to your point about Grant’s ability as a storyteller. If my memory serves me correctly, he had some back-and-forth with his editor in his first memoir-based articles because they were too dry. Was it a matter of him separating those parts of his life, or something else? One theory is that the qualities of a writer that make for a strong military communicator are different than the qualities of a storyteller. Grant was accustomed to writing as a military man and did not initially think of the writing process from a storytellers perspective. His “just the facts” approach made for succinct, clear orders to his subordinates, but that approach makes for a dry and difficult narrative. 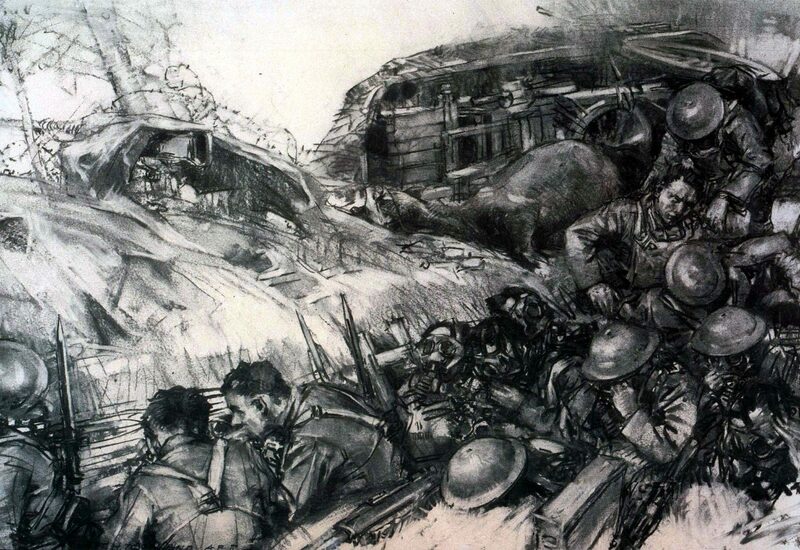 Grant had to reach into himself to find that not only was he a great military writer but he was able to illuminate the events of the war so that his readers were able to understand the emotions he experienced. I’m wondering, with the gradual release and scholarly work surrounding Grant’s papers, certain influential characters in his life who we might have previously overlooked have risen to the surface. With the completion of the papers project, it’s easier now to see just how important his family was in his life, especially his wife. For example, in Volume 32 of the Papers of USG, the supplemental volume, there are letters that Grant wrote to his cousins about his time at West Point. From a public figure standpoint, it’s easy to overlook his family ties and how they influenced his life. In the memoirs, we were surprised by just how many people Grant mentions that were never identified in previous editions or studies. For example, Grant mentions a spy who gave him information which led to the capture of Paducah, KY, but he doesn’t give the man’s name. Luckily, we were able to identify the man as Charles De Arnaud. These types of annotations really highlight forgotten characters in the story of Grant. From a behind-the-scenes perspective, could you tell us how you went about connecting the dots to identify that man? Generally speaking, our process was to think about who would also have been writing about those events and to look at those sources. Usually, we would start with the secondary literature to see if those authors included additional details and then we would look to see what primary sources were cited. In the case of Arnaud, the secondary literature about spies and espionage during Civil War led us to consider Arnaud as a probable identification for that figure. This led us to a source from the National Archives discussing their holdings on Arnaud that contained additional biographical information. On a different side of that same coin, or perhaps a similar one, are there characters from history we’ve been familiar with for some time, but are only now seeing their connection to Grant? Or perhaps an increased depth or different relationship we hadn’t previously known? Where this idea comes out is in the “small world aspects” of the stories told in the memoirs. For example, Grant talks about an seemingly inconsequential meeting with a man named Jacob Thompson during the Vicksburg Campaign. However, in our research we discovered that Thompson, who had served as the Sec. of the Interior from 1857 to 1861, was later an un-indicted co-conspirator in the assassination plot to kill Lincoln. During Thompson’s trial in 1867, Grant actually testified about their 1863 meeting. Grant makes a casual reference to this encounter, but the importance of which is lost on the modern reader. One of Grant’s most controversial campaigns was his Overland Campaign. With the passage of time and in light of new materials, letters, etc., did you come to see that in a different light? The Overland Campaign was one of the most complicated and difficult military campaigns of any war. The major difference in the way that Grant fought was in his determination to fulfill what he called his “superstition” that once he began something he never turned back. As difficult as it was for him to order men into battle and almost certain death, he realized that using this approach he would be saving lives in the long run by ending the war more quickly. With that said, our annotations are designed to provide factual/contextual information to help the reader come to his/her own conclusions and interpretations. We have adopted this same perspective on the exhibits we are in the process of creating for the US Grant Presidential Library. Is there a particular letter or document which you could think of that really distills that internal conflict? I hope this doesn’t pull from the great questions asked thus far. I am someone that wouldn’t know if there was more or less of, as you said, a ‘resurgence of Grant scholarship’ taking place. What usually drives these shifts in attention with historians, and is there anything we can learn from why USG is seeing a resurgence? One factor in this resurgence is access to primary sources on Grant. Since 1962 the Grant Association has been collecting a copy of every Grant letter that is in existence. As Chernow stated, with the completion of the papers project and the opening of the collection to the public, scholars now have the opportunity to see accurate statements and insights about Grant. This added access to primary sources on Grant allows scholars to reevaluate prior assessments of Grant. The books by Ron White, Charles Calhoun, Joan Waugh, Edwina Campbell, and Brooks Simpson, among others, are examples of publications that represent this resurgence. Looking down the line, do you think there are still new things to be discovered about Grant? I’m not sure if this is more a theoretical question or a practical one, but he does seem like someone whose life has been honed in on to such a great degree because of the particular arc of his life and work. There are always new things to discover. Theoretically, there could be undiscovered Grant sources out there. For example, we don’t have Julia’s side of the correspondence with USG. Also, there are notebooks that Grant lost during his time at Jefferson Barracks. Grant mentions in the memoirs that he feared those notebooks would be found and that he would suffer embarrassment because of the private nature of the notebooks. In that same vein, the sources that we do have on Grant’s early life are scarce, which is disappointing because a person’s early life shapes who they would become later. The early years are still somewhat shrouded in mystery because of this lack of sources. Contrast that with his later years, which are so saturated with sources that its difficult to process everything that is available. Finally, is there a particular quality or aspect of Grant’s life you think gets missed in our popular conception of him which is important? Grant the family man is one of the most overlooked aspects of his life. The loving relationships between Grant and Julia, and Grant and his children, are often overlooked in popular conceptions of Grant as merely a general and president. Beliefs about him are so entrenched that the true side of his familial relationships are ignored. We see this when we give tours of our exhibit to the public. They are usually surprised when they learn about Grant’s sensitive and loving side.